The Rev. Dr. Leslie Callahan leads the discussion. The pastor leads St. Paul's Baptist Church in Philadelphia. March 2019 – The Rev. 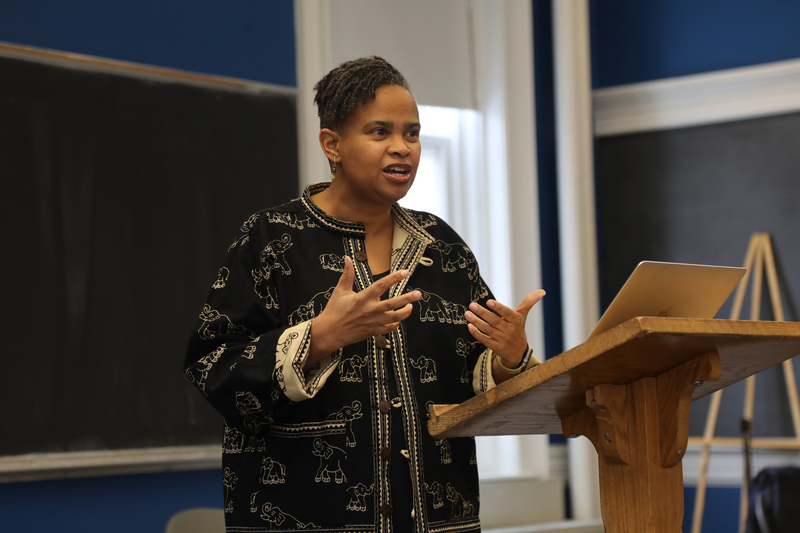 Dr. Leslie Callahan examined Martin Luther King Jr. as a pastor during a forum at Drew Theological School. Callahan, the first woman to lead St. Paul’s Baptist Church in Philadelphia, sees King’s activism as a facet of pastoral ministry. In her talk, she explored why he engaged in activism and the turns it took during the last year of his life, including civil rights, the Poor People’s Campaign and his opposition to the Vietnam War. In particular, she noted the importance and controversy surrounding his “Beyond Vietnam” speech. Callahan also referenced the many people who surrounded themselves with King with “dissonant chords,” asking Theological School students to reflect upon them with “Someone Is Listening,” an anthem commissioned for the centennial of the NAACP. Guthrie Ramsey Jr. composed the music and poet Elizabeth Alexander provided the words. 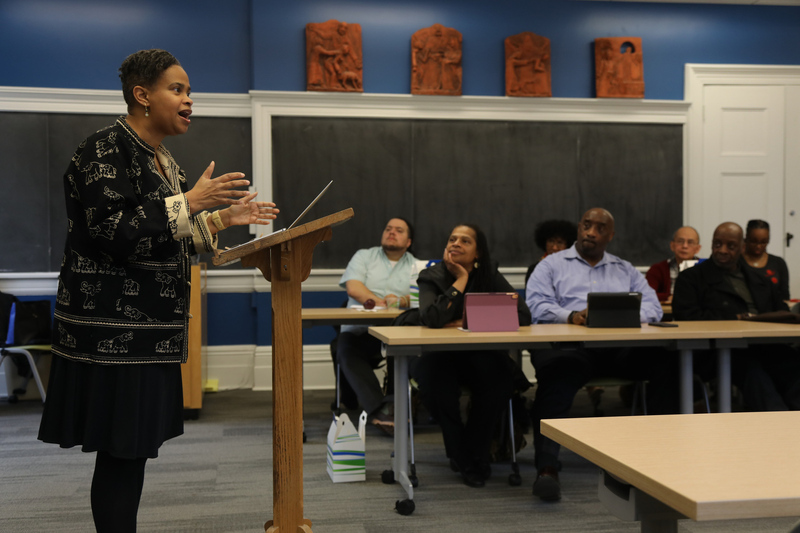 Such community involvement is central to the Theological School’s Social Justice Leadership Project, which enables students to work with activists, justice artists and thinkers. Callahan’s talk was organized by Drew’s Black Ministerial Caucus and also celebrated Black History Month.